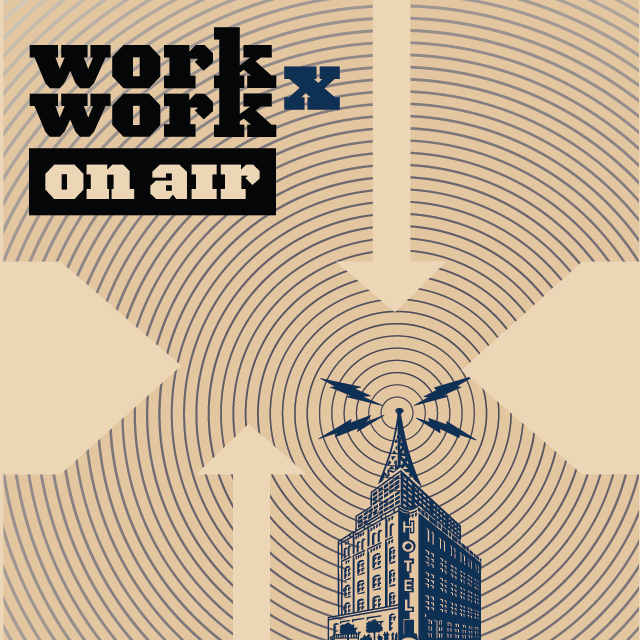 On February 10, 2017, Clocktower is partnering with work x work ON AIR to broadcast four hours of programming live from the gorgeous Wythe Hotel in Williamsburg, Brooklyn. Richard Fleming a.k.a DJ Richard Nixon and David Weinstein will represent Clocktower on an aural journey through the history of New York underground music and culture. David Weinstein will be speaking with Mary Griffin and the gang that ran The Kitchen in the 1970s-80s during its high period in Soho; when it was the center of creative activity featuring artists and composers such as Anthony Braxton, Philip Glass, Anthony Davis, Laurie Anderson, Arto Lindsay, Booji Boy, Glenn Branca, Philip Glass Ensemble, Brian Eno, Fab Five Freddy, Love of Life Orchestra, Meredith Monk, Z'EV, Talking Heads, Robert Ashley, Don Cherry, Tony Conrad, Petr Kotik, Alvin Lucier, Charlemagne Palestine, Steve Reich Ensemble, Rhys Chatham, and George Lewis among many others. The Kitchen also championed video art wtih screenings by Steina and Woody Vasulka, Vito Acconci, Robert Ashley, Nam June Paik, The Kipper Kids, John Cage, and Robert Wilson. The Beastie Boys gave one of their early performances at The Kitchen on December 12, 1983. Richard Fleming is interviewing two legendary New York icons: Stretch Armstrong and Ted Riederer. Stretch Armstrong is New York hip-hop royalty and the author of the just-published No Sleep: NYC Nightlife Flyers 1988-1999, a volume dedicated to the advertising fliers from the glory days of New York clubland. Stretch's name appears on many of these fliers, and he and Fleming will discuss the book as well as how nightlife has changed over the last 25 years. They may even play some records! Ted Riederer is an artist and the gallery director of East Village art space Howl! He and Fleming will discuss his Never Records project, a mobile lathe cutter and recording studio that he takes around the world and uses to record musicians direct to analog disc. These documentary interventions have taken place in record stores around the world, and Riederer will play some of his favorite selections.